I love music as much, if not more than I love digital marketing. It’s probably safe to say that I’m an absolute music nerd. This comes as no surprise to anyone who regularly reads what I write. I’ve shared articles referencing R.E.M., Depeche Mode, Duran Duran, and many more. I often look back to my 80’s music influences when I’m generating my music and marketing article ideas. What some of my readers might not know? I’m an indie rock kind of chick! That’s right. A hipster. But hopefully not a hipster dufus (yes, I love to add pop culture and Seinfeld references to my writing, too). So, I’m more than excited to publish a music and marketing article that shares several songs that fit with my more indie listening leanings! It’s pretty safe to say that my favorite singers wouldn’t fare well if they took their singing talents to a “reality” TV show intent on creating slick and seriously engineered pop stars. I can perfectly picture Simon sneering as I imagine it. That’s really not much different from how I choose those marketers and digital storytellers whose posts I look for in my feeds. A song about a leper isn’t destined to rise to the top of the pop charts, but it absolutely catches my attention with a strong and standout story. And, even better, it makes me think. I look for the same in content and social media marketing. My ex-husband couldn’t stand Jeff Mangum’s voice. Words like whiny, grating and even caterwauling were thrown about with abandon. But the voice that fronts Neutral Milk Hotel digs deep and does something for me. I’d trade passionate for whiny, gripping for grating and maybe yearning for caterwauling. I often stress that if we all liked and sought out the same things, the world would be a very boring place. The same goes for the digital marketing and social media sphere. We seek what sings to us. If your story sings to me, I’ll share it. You can’t expect everyone to hum along or dance in place. The story in this song sings to me, and I think no other voice but Isaac Brock’s would do it justice. But, it’s an acquired taste. Like learning to drink coffee or wine, it’s a passion that develops over time, through repeat sips (or listens). Social media marketing is about acquired taste, too. You have to choose the platforms that best allow you to sing your story in your own unique voice. For me those channels are Twitter and Google+. I didn’t immediately fall in love with either platform. It was through repeat listens and learning to love each as I spent more and more time engaged in conversation and discussion. I’ve chosen to share this song for two reasons. First, Dan Boeckner’s voice is an acquired taste. But the second reason is the one I’d really like to stick. To make it in our field, digital and social media marketing, you’ve got to have a heart of iron. Heck, you’ve also got to have a soul of steel and you’ve got to be able to roll with the punches … some directed below the belt. I got called out this morning, on Twitter. I was called lazy for using the term “moron” in an article and title. I laughed, shot off a response that didn’t engage in name calling and went about my day. You have to be able to do so. I carefully chose to call out unnamed individuals as morons, and I don’t intend to change that practice. To do so would mean I’m trying to hide my voice. I have no intention of ever doing so. My unique voice, the one I use to share each story I think worthy of sharing, could probably be described as hyper. Some might say edgy. I’m pretty sure I’ve even been called manic. I’m sure Mac McCaughan and the rest of the Superchunk gang were often told that they played too fast, were woefully out of tune (on occasion … OK, maybe a lot), were perhaps not exactly what a venue manager was looking for in a music act. I’m not a perfect fit for every job. There are many prospects who aren’t a perfect fit for our company. But I’m hyper enough (meaning I’m dedicated to hustling and moving forward) to keep looking for that right prospect, that fortuitous fit. 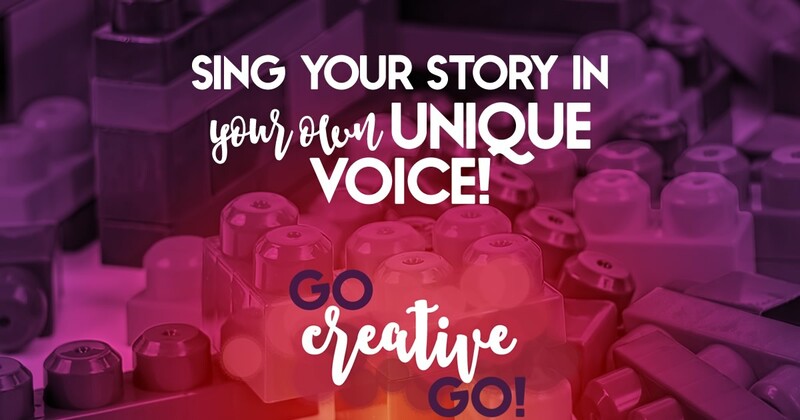 Are You Singing Your Story? Your voice might not suit everyone. But it doesn’t have to. You’ll find harmony and resonance with a group that suits your goals, your message and your intent and purpose. Don’t fall prey to the auto-tune mentality and lose what makes your voice unique! This has absolutely nothing to do with the post, but this weekend my kids and I were air guitaring the crap out of “All My Life” bu the Foo Fighters, with requisite “nnn nnn nnn” power chord crunching into the bargain. My niece and nephew are 4 and 6, and they love music, too. We’ve been introducing Cutie (the code name for the 6 year old online) to some indie rock while we also introduce him to superhero movies! And let’s just ignore the child labor laws. I need some interns now! LOL.